WEDNESDAY, Nov. 8, 2017 -- If you're looking for a cough remedy this cold season, you might be out of luck. Nothing has been proven to work that well, according to a new report from the American College of Chest Physicians (ACCP). After reviewing clinical trials testing everything from cough syrups to zinc, an ACCP panel came to some less-than-positive conclusions: Over-the-counter medicines -- including cold and cough products and anti-inflammatory painkillers -- cannot be recommended. Nor is there evidence supporting most home remedies -- though, the group says, honey is worth a shot for kids. Every season, most people probably battle at least one cold-induced cough, said report author Dr. Mark Malesker. And they apparently want relief. In 2015, Americans spent more than $9.5 billion on over-the-counter cold/cough/allergy remedies, according to the report. "But if you look at the evidence, it really doesn't support using those products," said Malesker, a professor at Creighton University in Omaha. Unfortunately, he said, there have been no big advances made since 2006 -- the last time the chest physicians issued guidelines on treating cold-related cough. Malesker's team looked at trials of cold products that combine decongestants and antihistamines, or decongestants and painkillers. They found no consistent evidence that any quash a cough. The same was true when they analyzed studies of nonsteroidal anti-inflammatory drugs, which include naproxen (Aleve) and ibuprofen (Advil, Motrin). So what do you do when a hacking cough keeps you up all night? There was also "weak evidence" that zinc lozenges might help ease adults' coughing -- but it wasn't enough to recommend them, according to the report. Plus, it says, zinc can have side effects, including a bad taste in the mouth, stomach cramps and vomiting. What about storied home remedies, like Grandma's chicken soup or neti pots for nasal irrigation? There's no strong evidence for them, either, the review found. On the other hand, Malesker said, if your favorite tea or soup makes you feel better, use it. "It's very frustrating that we haven't found a good way to address this," said Dr. David Beuther. Beuther is a pulmonologist at National Jewish Health, a Denver hospital that specializes in respiratory diseases. A simple cold-related cough is generally something healthy people can wait out -- but it can be miserable, Beuther pointed out. "It can affect your sleep and quality of life," he said. "So people are looking for ways to make it more bearable." And while a quick fix might be tempting, simply slowing down could help, Beuther said. "Sometimes you just need to take a day off and let yourself rest," he noted. Beuther also recommended that people drink enough water to stay hydrated -- which may help break up any thick mucus that is causing the cough. According to Malesker, parents should talk to their pediatrician before giving any cough remedy to a child younger than 2. And medications containing the opioid codeine should not be given to children and teenagers younger than 18 due to the risk of serious side effects, including life-threatening breathing problems. As for healthy adults, Beuther said that if they have found an over-the-counter product to be useful in the past, he wouldn't discourage them from trying it again. If you do want to try an over-the-counter cough remedy for the first time, Malesker suggested talking to your health care provider or pharmacist. There are many products, with varying active ingredients, he said. So a doctor or pharmacist may be able to steer you toward the most appropriate one. Over-the-counter products can have side effects, like drowsiness. Plus, the report says, they can contain active ingredients with the potential for abuse. Large doses of dextromethorphan -- an ingredient in many cough syrups -- can be used to get high, as in "Robo-tripping" (based on the brand-name Robitussin). Beuther added that people may want to talk to their doctor if they have frequent colds, or coughs that last for weeks after a cold hits. It's possible, he said, that an underlying condition, such as mild asthma or chronic sinusitis, has gone unrecognized. The recommendations were published Nov. 7 in the journal Chest. 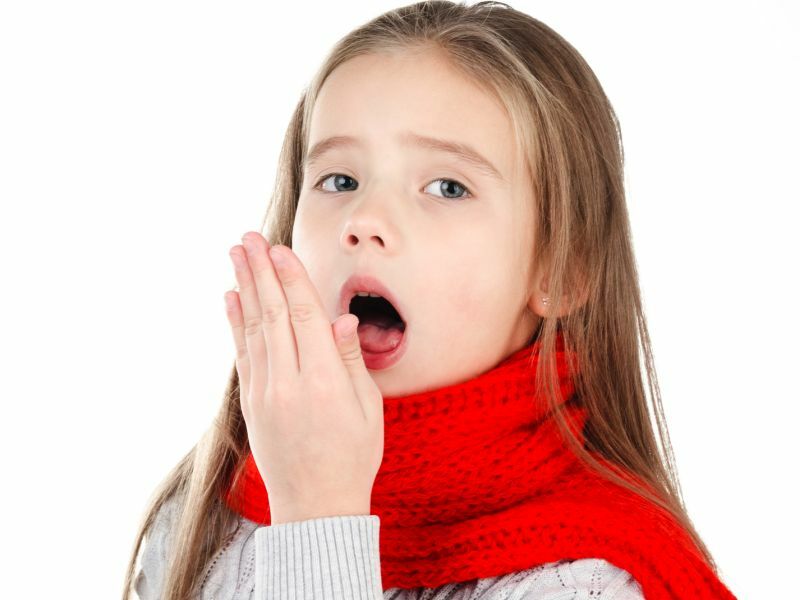 The U.S. National Library of Medicine has more on cold and cough remedies.